A friend recently shared with me an interesting scenario that I thought was worth sharing with you. I think it is a great example of the misunderstandings that culture can produce. For the sake of anonymity I will name my Australian friend Clara. Clara has travelled extensively, works in a culturally diverse setting and has friends of different nationalities. She began to question just how culturally intelligent she was as she was left grappling to understand what had happened. Clara needed to purchase a microwave. Her neighbour connected her with a work colleague (Anchal) who was selling household items as she was permanently returning to her home country of India. Anchal had been in Australia for 4 years. 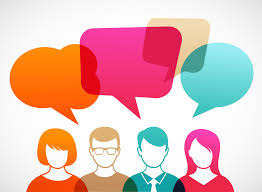 Both Clara and Anchal had a couple of telephone conversations discussing the condition, age, price of the microwave and the pick up arrangements. Each time Clara asked Anchal to nominate a price the response from Anchal was that she was happy that it was going to be used and that Clara could 'have it'. On the second occasion Anchal jokingly said that she would charge Clara $1.00. Clara felt uncomfortable to ask Anchal for a fourth time, she also felt uncomfortable to take something without paying for it. Clara decided that she wouldn't ask the price again and settled upon purchasing a food hamper that had a monetary value worth roughly the same amount that she estimated a second-hand microwave to be worth. When Clara went to Anchal's house to collect the microwave she presented Anchal with the hamper, expressing her thanks at Anchal's generosity. The two women enjoyed a cup of tea and a short chat about Anchal's exciting move back to India. Clara was happy with her microwave and assumed that Clara too was happy with the exchange. I am happy to exchange our items back and am sorry for any confusion. I was feeling awkward about quoting a price when asked because you hadn't seen the microwave. I therefore joked that you could give me $1.00. I expected that you would make an offer after you had seen it and we could settle on a price. I was totally taken aback by your decision to give me a gift and assume that I would not accept any money only because I was too embarrassed to quote a price. I was expecting to be paid. I will leave it entirely to your discretion - you can pay me or we can exchange our items back. I ask you to pause here for a moment and consider what you think may have occurred (or not occurred) that led Anchal to send this message. What assumptions did both parties make? How, after two telephone conversations and a face-to-face meeting, could there have been a misunderstanding? What role did culture play in this situation? Stayed tuned for our March newsletter for the outcome and the cultural lessons learned. Jugaard is a Hindi work meaning 'an improvised solution'. This book consolidated for me the incredible innovation that is taking place in India, China and Africa. The message - Western corporations can no longer rely purely on old formulas. These trusted formulas may have guaranteed success in the past but this doesn't ensure their continued sustainability in the current global business landscape. The authors go on to argue that Western innovation has become too rigid, insular and bloated. These principles are demonstrated in some fascinating case studies. The authors describe scarcity as the mother of invention. Bold ideas, improvisation and frugal engineering are the key components to doing more with less. Apple, 3M, GE, IBM and Renault-Nissan are some of the Western organisations that are discussed and used as examples of organisations that have successfully demonstrated the principles of jugaad. This is a provocative and inspiring book that I found difficult to put down.
" 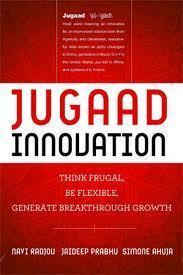 Jugaad Innovation: Think Fugal, Be Flexible, Generate Breakthrough Growth." By N. Radjou, J Prabhu & S. Ahuja (2012).